According to the Wall Street Journal, about 80 million people are obese and Type 2 diabetes, cardiovascular disease, and other illnesses are increasing as well. Obviously, people are doing something wrong when it comes to what they eat, but the paleo diet might provide an answer. Scientist Loren Cordain popularized the paleo diet or Paleolithic diet in 2002 but it’s actually been around a lot longer than that. Much longer. While scientists had just begun writing about it in the 1970s, the idea of a paleo diet comes from contrasting what people eat today with what early humans ate. Sometimes referred to as the caveman diet, people who follow the paleo method believe humans should go back to their roots, and eat what they would have eaten naturally as hunters and gatherers. Sounds reasonable enough. But what exactly are the differences between Stone Age and modern diets? Obviously, human beings didn’t used to have factories, preservatives, or processed foods, but there are some subtle differences as well. According to Harvard Health Publications, the paleo diet advocates consuming meat and fish, fresh fruits and vegetables, eggs, seeds, nuts, and natural oils like olive oil. As you might expect, processed food and strange inventions aren’t allowed in this diet. However, you might be surprised to learn grains, legumes, dairy products, salt, sugar, vegetables oils, and potatoes aren’t considered caveman-friendly, either. You probably knew French fries weren’t a good choice, but if you’re thinking about going paleo, be prepared to say goodbye to yogurt and that whole grain pasta you love, too. From cereal for breakfast, to dinner rolls, to the bread for your sandwich, grains seem to play a big role in most people’s diets today and you’ve been told for years that dairy products protect your bones with calcium. So what exactly does the paleo diet have against these staples? According to the Huffington Post, people only began to cultivate grains and move toward agriculture 10,000 years ago. That might seem like a long time, but considering our early ancestors go back 60 million years, it’s actually not that much in the long scheme of things. Paleos argue that our basic biology hasn’t changed that drastically, and our bodies aren’t designed to digest grains, legumes, and dairy. Is there a Basis to Paleo Arguments? Everyone wants to be healthy and eat naturally, but there isn’t a lot of evidence to back up paleo claims that the secret to health is eating like our ancestors. As Marion Nestle points out in her article for the Wall Street Journal, scientists don’t really know what our genes say we should eat for the optimal lifestyle. Some scientists say carbohydrates, like the ones that come from grains, even helped develop the human brain, according to an article in the Guardian. What might be most important to keep in mind is that our ancestor’s diets varied greatly depending on their geographical location, what was available, and culture. The National Geographic points out that “there is no one ideal human diet” because humans have kept evolving over time to their changing situation and environment. Some people have evolved to process lactose, others haven’t. When it comes to the arguments used to back this diet, the evidence is scarce, but that doesn’t necessarily mean the diet can’t help or is unhealthy. Many people aren’t interested in the “truth” behind the diet so much as they want to know whether it can actually work to improve health and manage weight. The main risks of the paleo diet according to UC Davis are low calcium levels, not getting enough vitamin D, and consuming too much fat from meats. However, many vegetables also contain calcium while eggs, fish, and other products contain or are fortified with vitamin D. And, as long as you get enough carbohydrates from fruits and vegetables your body won’t over rely on fat as a source of energy (a condition called ketosis). In that sense, there’s not much of a health risk if you do choose to go paleo. As for the benefits, research has been mixed. An article in the Wall Street Journal highlights several studies that point to a paleo diet as a good lifestyle choice: it has been shown to reduce the risk of Type 2 diabetes and cardiovascular issues in people with too much belly fat. It was even more effective than standard diets that try to reverse conditions that could lead to diabetes, and the paleo dieters lost more weight even when researchers added more calories their diet. The article also points out that although critics like to say paleos eat too many saturated fats, a review of 70 studies showed that there isn’t any conclusive evidence that says saturated fats are bad for your heart. Conversely, a 2016 Australian study showed a paleo diet might actually lead to weight gain. However, the study was conducted on mice, not people. Although it’s probably not what you want to hear, the jury is still out on the paleo diet. Certainly, its justification for only eating specific foods while ruling out others is weak, but the benefits might be real. Pretty much any diet that doesn’t let you eat pizza, fast food, frozen dinners or drink soda will improve your health. 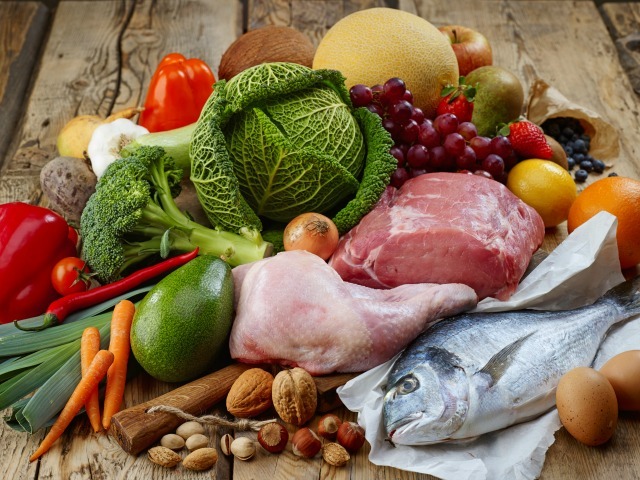 Although it will take some more testing, the paleo diet seems like it might be beneficial overall. Because the diet is restrictive, many do experience weight loss initially, but it is important to remember that restrictive diets often fail, not because people lack willpower, but because our psychology sets people up for failure. In a Washington Post interview, researcher Traci Mann explains that when people diet, their hormones go haywire and the extra focus on food actually makes you notice and want it even more. Keeping this in mind, if you do decide to switch to the paleo diet make sure it is sustainable for you, and that you won’t end up binge eating later.